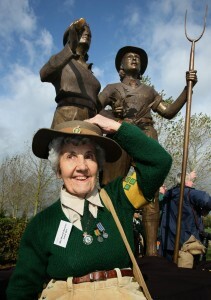 During the war years, over 240,000 young women joined the Women’s Land Army (WLA) and Women’s Timber Corps (WTC). Many of these young girls were only 17 years of age and it often meant living in the countryside for the first time. They were trained in farming and forestry skills and through their combined efforts, Britain’s crucial food and timber supplies were met. 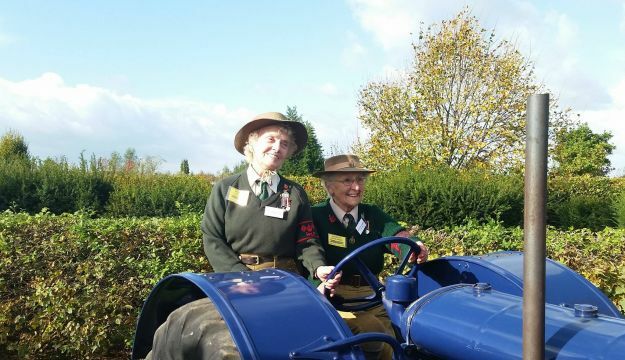 The Staffordshire Women’s Food and Farming Union has campaigned and raised funds to provide a fitting tribute to honour and commemorate the women’s wartime work. Many of the donations have come from the Land Girls and Lumber Jills themselves, such is their feeling of pride in the new memorial. The WLA Tribute is a bronze sculpture created by Staffordshire sculptor Denise Dutton and is based on a WWII WLA recruitment poster. Its figures will be set upon a sandstone plinth. 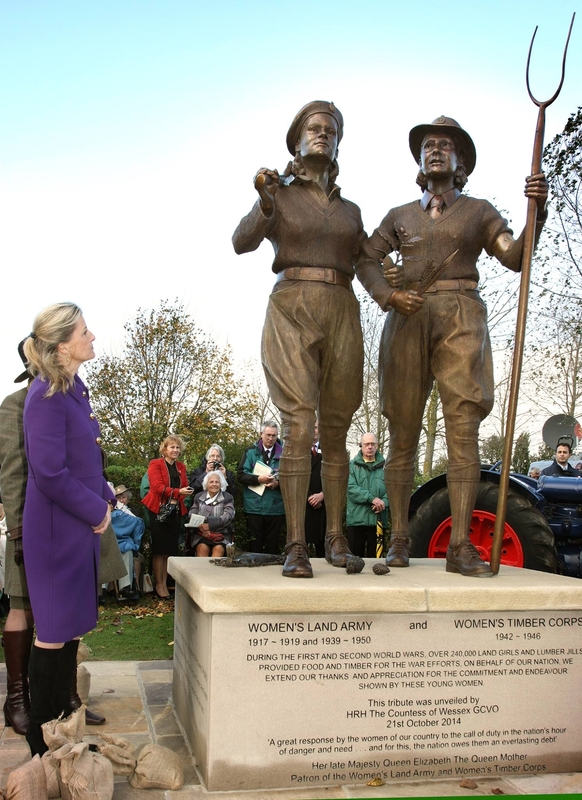 The sculpture was unveiled by HRH The Countess of Wessex on 21 October 2014. Over 300 members of the WLA and WTC were present at the event, along with around 1,000 other guests. A Fordson Major tractor of the era was on display. The National Memorial Arboretum is the UK’s year-round centre of Remembrance; a spiritually uplifting place which honours the fallen, recognises service, suffering and sacrifice, and fosters pride in our country. The Arboretum open every day, except Christmas Day, and is free to enter although donations are appreciated. It is part of The Royal British Legion family of charities.